Tahiti and the Society Islands – The Great Canadian Travel Co. Discover your own island inspiration in Tahiti and the Society Islands, the destination that enchanted painter Paul Gauguin, author James A. Michener, and countless others. 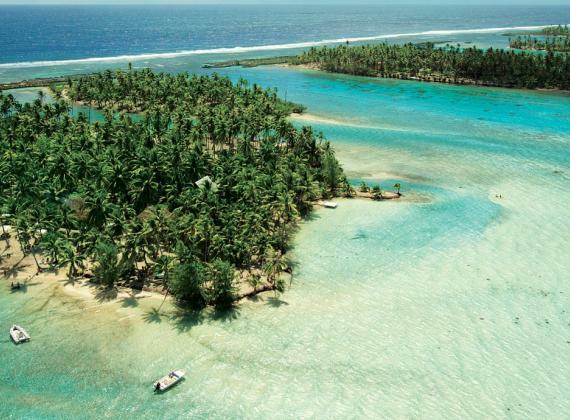 You’ll find your own little piece of paradise in this stunning part of the South Pacific! Prices are Canadian resident special rates, “starting from” prices per cruise date, shown in US$, per person based on two people sharing a twin cabin. For single, triple and quad share rates, please inquire. Rates and availability vary depending on the date of the cruise, so please ask us for details of the cruise dates of your choice. The Canadian resident special rates are offered to compensate in part for for the difference between the Canadian $ and the US$. Proof of residency in Canada will be required for the discounted rates. If you are not a Canadian resident we can quote you the applicable rate for the cruise date of your choice, along with special offers available to all. 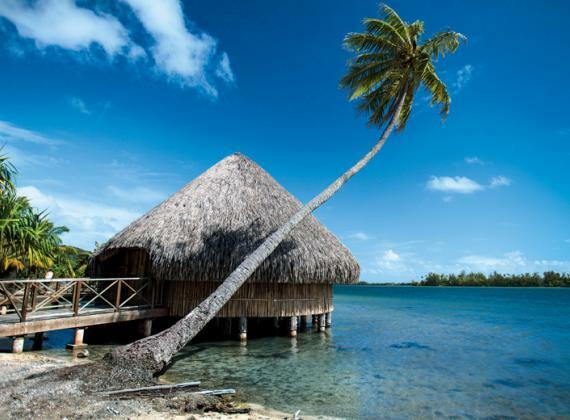 Board your flight in Los Angeles, bound for breathtaking Tahiti! We can offer airfares from other cities in the US or an air credit should you want to purchase your airfare separately. Transfer from the airport to the port where you will join the ship, the MS Paul Gaugin. A gorgeous collection of volcanic islands strewn across the blue Pacific, Polynesia paints a stunning picture. 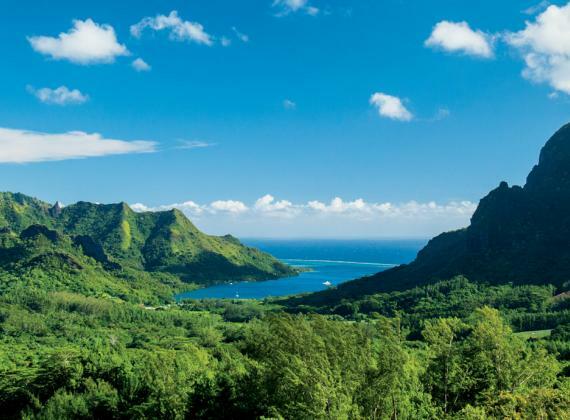 And, as the capital city on the largest of all 118 islands, Papeete offers endless opportunities for exploration and relaxation. 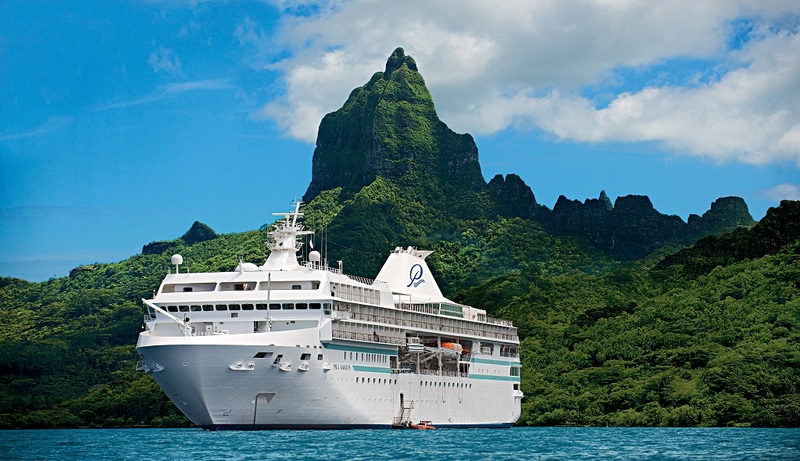 Dynamic dining, nightlife, and shopping can be found around every corner, and Papeete serves as a departure and arrival port for most cruises in the South Pacific. Known as “The Garden Island,” Huahine’s lush rainforests and dramatic terrain surround sacred sites and legendary landmarks that are among the best-preserved archaeological sites in French Polynesia. 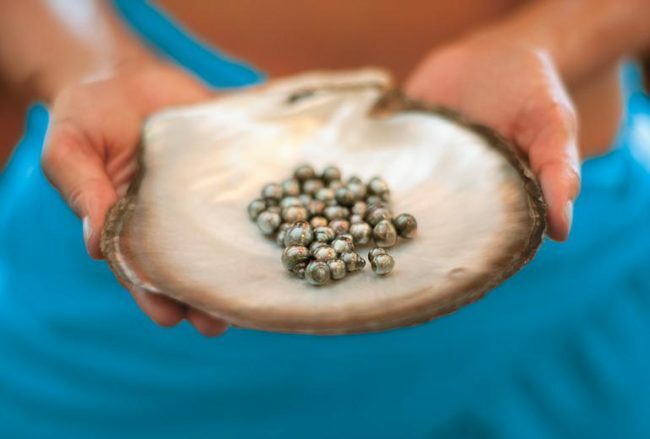 If Huahine’s expansive lagoon is calling your name, enjoy a SCUBA diving excursion or picnic on the beach. traditional Polynesian crafts. A delicious barbecue lunch is provided. A bucket list destination for many, stunning Bora Bora welcomes you for two full days of exploring lush peaks, white sand beaches, colourful coral reefs, and romantic lagoons. 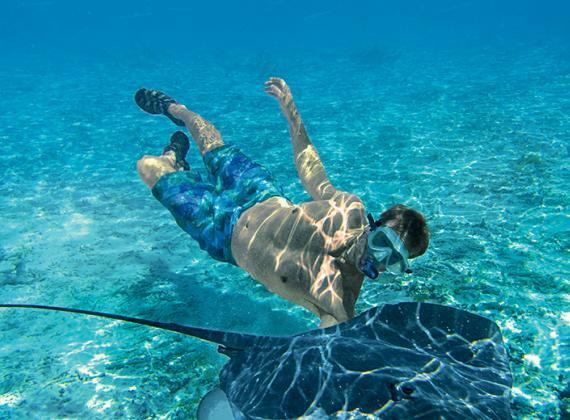 Experience the natural beauty of the island with an optional snorkeling excursion, sunset jet boat ride, or a helicopter tour that flies you over Bora Bora’s iconic Mount Otemanu. You can also spend time at our private beach which offers volleyball, snorkelling, kayaking and paddle boarding. 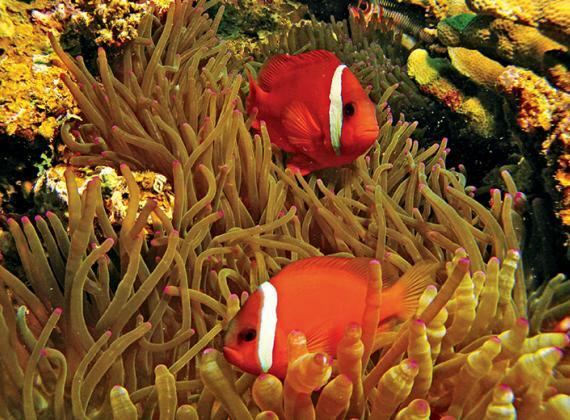 Vibrant colors abound during two leisurely days in Moorea, in everything from fresh fruits and flowers to multi-hued lagoons, and from spectacular mountain peaks to palm-fringed beaches. 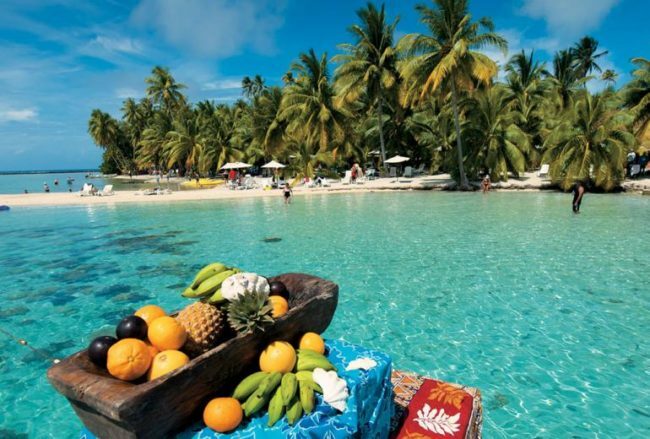 Shop for local handicrafts, embark on an optional dolphin-watching expedition with a marine biologist, and sample the local pineapples, said to be the most delicious in all of French Polynesia. Vibrant colors abound on Moorea, in everything from fresh fruits and flowers to multi-hued lagoons, and from spectacular mountain peaks to palm-fringed beaches. Shop for local handicrafts, embark on an optional dolphin watching expedition with a marine biologist, and sample the local pineapples, said to be the most delicious in all of French Polynesia. Tahiti’s capital city of Papeete welcomes you back with emerald hillsides, sapphire waters, and warm breezes. If you’re not ready for your South Pacific vacation to end, spend a few days here experiencing resorts, spas, restaurants, nightlife, and shopping. Transfer to the airport for your flight back to Los Angeles and onwards to your home city. Spend a few days before or after your cruise in one of the stunning island locations to round out what is sure to be a perfect trip! 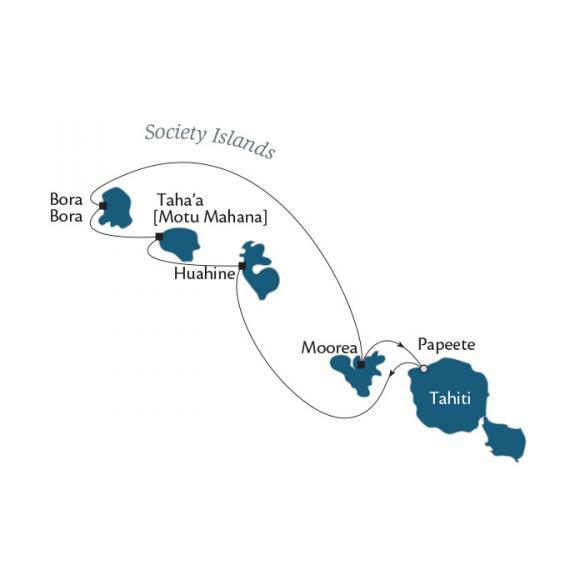 Three-night airfare and accommodation packages are availble to add on to your cruise reservation in Tahiti, Bora Bora, Moorea, Taha’a and Tetiaroa, including the option of fabulous over-water bungalows! We can quote you the pre and post cruise extensions that fit around your cruise dates and co-ordinate your airfare accordingly.